Some may call it unfair, but millennials are being stereotyped as some of the most entitled, technology-obsessed, and spoiled generation ever. This paints them as both immature and non-committal, which causes them to job-hop from one employer to another because they refuse to settle down and build their careers from a more robust foundation. Folks from the older generations agree that they indeed exhibit these behaviors, but many still find this stigma generalizes an entire generation. What they are not aware of are the numbers that support facts. According to analytics data from Gallup, 60% of millennials are open to new job opportunities, making them the generation that’s most likely to switch jobs when they get the chance. To support this data, another Gallup report reveals that 21% of millennials in 2016 switched jobs the past year—a huge difference compared to about only 7% of Gen Xers and other non-millennials. To top it all off, Gallup claims that their frequent job-hopping costs the US economy $30 billion per year. Naturally, pros and cons are resulting from this kind of professional behavior. Unsurprisingly, the pluses come from the millennials side, with reasons such as ‘to earn higher compensation,’ ‘to gain new skills’ and ‘it looks better on a resume to have multiple employers’ as the most common. In the cons category, employers are hit with ‘being perceived as a flight risk,’ ‘being perceived as unstable’ and ‘being perceived as only interested in a higher title’ as the main reasons. Overall, this is bad news for companies who will be shouldering the costs related to hiring and onboarding, and managers who exerted resources in training to improve the skills of an employee. When they leave, it’s back to square one. 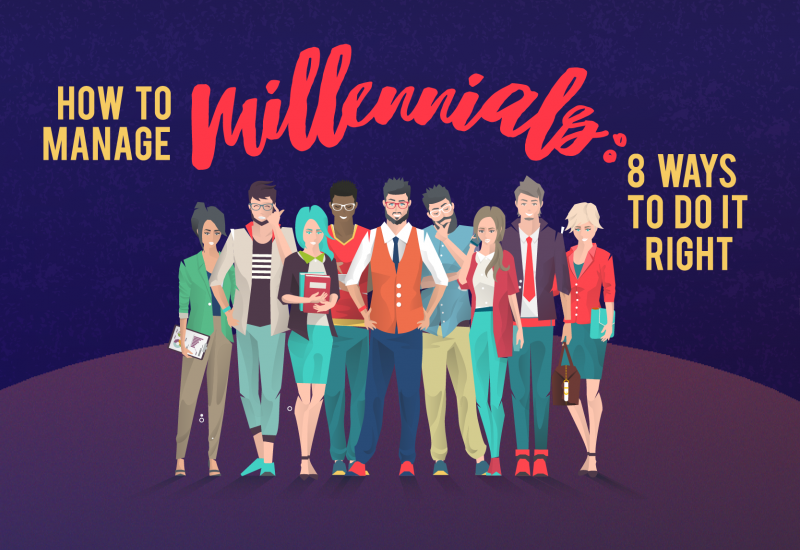 To keep them from job hopping, here is an essential guide in managing millennials the right way. Waking up in the early morning to get ready and travel all the way to the workplace can be daunting, especially for millennials, as this adds to the stress they already go through from all the work they do. And with some occasions needing them to spend more hours to complete a project, coming in on time the next day is off-putting for many millennials. Your company should start establishing a flexible schedule for your employees so that millennials could be more comfortable in spending hours at the office or do remote work without worrying about coming in on time next day. They’ll become less tired, be more productive, and stay with you in the long run. From their hardware to the software tools they need, millennials are in their element when working with the latest tech. It’s just like leaving kids inside a toy store—they would never want to leave. ‘All work and no play makes Jack a dull boy,’ as the saying goes. There is no doubt there is a huge chunk of truth to this since any employee who spends all his time at work will never amount to anything healthy. Encourage your millennial employees to have a life outside the workplace. You can start by implementing a flexible schedule to give them more time to focus on their personal affairs. The company should also encourage them to be involved in team building activities and advocacies, while creating programs to uplift their spirits and motivate them more. Since millennials love being a part of a team, you should cultivate a culture where employees collaborate and share their skills in completing a project. This will make them feel a sense of belongingness while giving them an opportunity to showcase their skills in an environment where they can be productive with the help of co-workers. Getting stuck in a dead-end job is never a good place to be even for those who aren’t millennials. But to them, this can be a deal-breaker that would make them decide to leave and look for better opportunities elsewhere. A clear path should be laid out for them where they can project their own growth and make them stick around to watch themselves improve. Millennials are a purpose-driven lot, so make them wear their game face every day at work by giving them a purpose. This is a greater motivator compared to stats, milestones, and even pay. 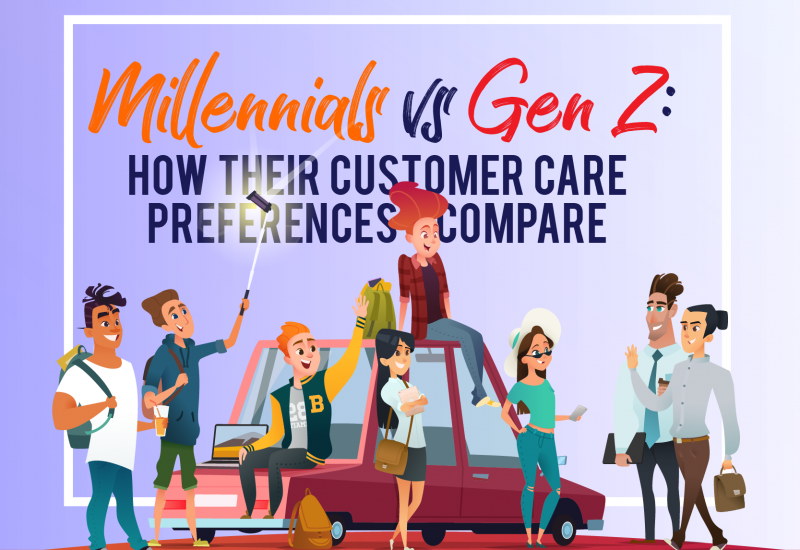 Millennials are known to value relationships with their employer, particularly when they are built in honesty and an open line of communication. They are happier when working in a creative and inclusive work culture, as opposed to a more authoritarian and rule-based environment. Now that millennials make up most of the workforce, it’s better to understand them than continuously focus on what they’re not. You must learn how to utilize their unique gifts by giving them a purpose, offering flexibility and refraining from stereotyping them, so they would want to stay longer. To help you keep them from leaving, you will need to establish a program that’s fit for your company. Better yet go through training on managing millennials to lead them into cultivating more productive work habits for higher efficiency in the workplace. You can utilize their skills while convincing them to stay and work for you in the years to come.